Microsoft’s Steve Ballmer is expected to announce Office 2013 as the focal point of a news conference on July 16, according to anonymous sources as reported by USA Today. The next iteration of Office has been in development for some time under the codename Office 15 but most expect Redmond to use the traditional year designation. 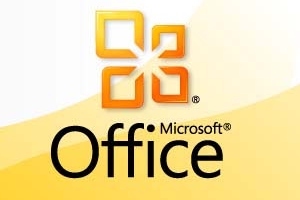 Not much is known about Office 2013 at this point expect that there will be a public beta held this summer, perhaps following Ballmer’s announcement. Office 2010 was in beta status for 28 weeks before finally being launched as a retail product. We also know that a version will be available for tablets, including Windows RT models as the UI has reportedly been heavily modified for touch support. This likely explains why we have yet to see that rumored version of Office for the iPad materialize. If there is a Windows RT version of Office 2013, it seems likely that it would have to go on sale much sooner than next year; as in, when Windows 8 launches in October. Delaying the standard Windows 8 version into next year seems like an unlikely move if an RT variety were to launch this year. Aside from Windows 8, it’s probable that Windows 7 will be supported as well. Windows XP is now 11 years old and could easily be dismissed for support at this point. With any luck, Ballmer will shed some additional light on the subject next week with regards to new and upgrade pricing, editions or a solid release date.